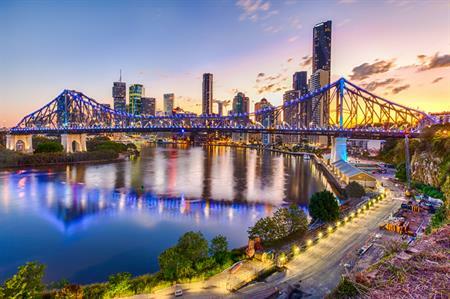 Tourism Australia has announced that Dreamtime, its signature event for promoting Australia as an incentive destination, will be held in Brisbane, Queensland for the first time ever. The event will take place from 3 to 6 December 2017, providing the Australian industry the opportunity to meet and do business with buyers from key markets including Greater China, Singapore, Malaysia, Indonesia, India, New Zealand, USA and the UK during business sessions – helping to secure future incentive business for Australia. The Dreamtime program also includes a destination showcase, dedicated media event and networking opportunities to allow the maximum engagement between Australian industry and international business events buyers. Dreamtime has a strong track record in driving real business outcomes for the Australian business events industry. A survey of the Dreamtime 2015 event so far has confirmed that it generated over 60 incentive business leads worth AUD40 million. Commenting on the announcement, Tourism Australia managing director John O’Sullivan said: "Dreamtime is Australia’s largest business events showcase, and taking the event to Brisbane is an exciting development for a city that is continuing to raise its profile internationally as an ideal incentive destination." Brisbane Marketing’s Convention Bureau general manager Rob Nelson said: "Having been successful for a number of years in the highly competitive association conference sector, we want to increase awareness of Brisbane’s remarkable incentive products and experiences. I think the buyers and media attending Dreamtime will be pleasantly surprised and inspired by what Brisbane and our surrounding region have to offer."